A unique, super-nutritious Mate that can be prepared in the traditional way or even sprinkled on food and smoothies. With this Raw Mate, Meta Mate have developed a truly unique product. 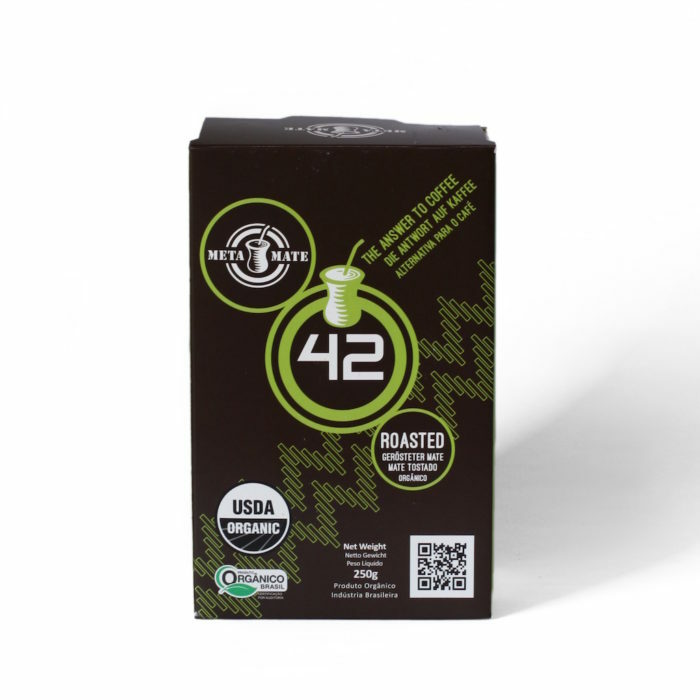 It has some of the highest nutritional content you will find in any Mate, and its smooth, earthy flavour is hard to beat. 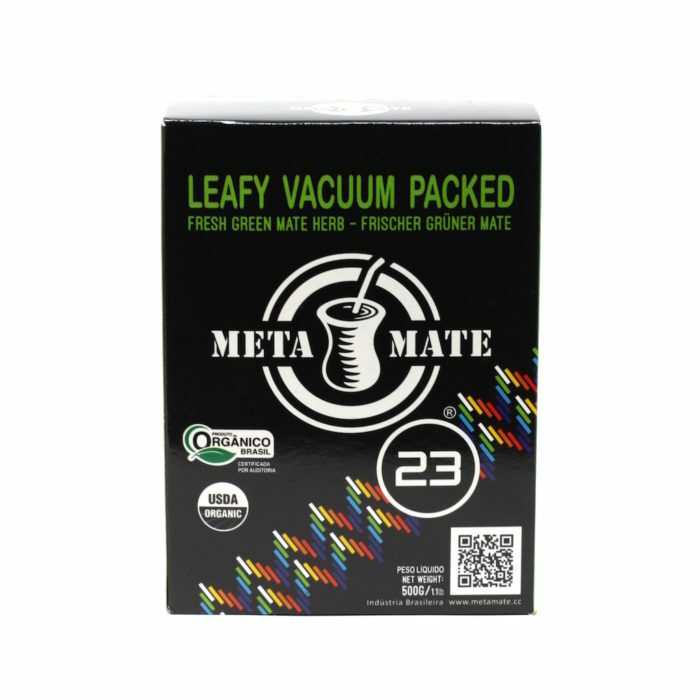 The leaves used in this Mate are picked by hand from trees grown in protected forests. This causes no damage to the trees and ensures sustainable Yerba Mate production. 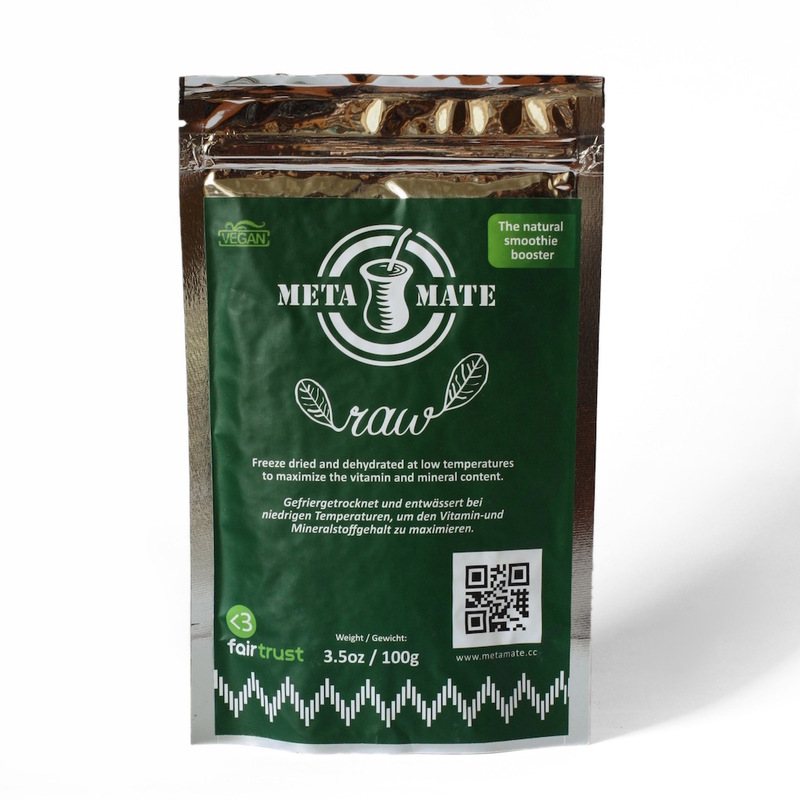 Uniquely among other Mates, Raw Mate’s drying process uses very low temperatures (no higher than 45°C). 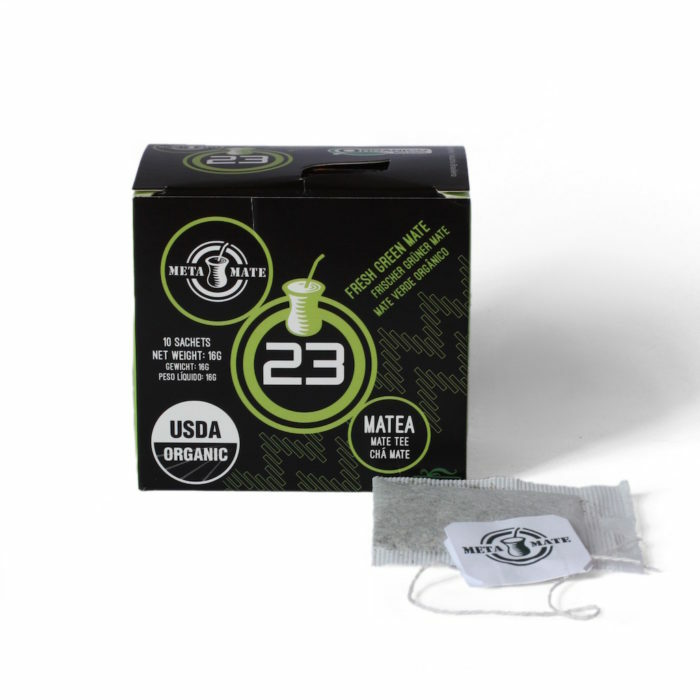 This results in a gentle flavour with absolutely no bitterness, and conserves the high level of vitamins and minerals found in Mate tea. 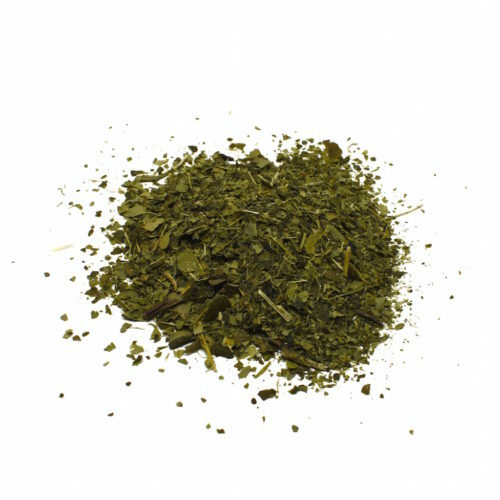 During production, the Yerba Mate is also thoroughly washed and freeze-dried to lock in its nutritional value. Finally, vacuum packing ensures that it maintains its freshness. 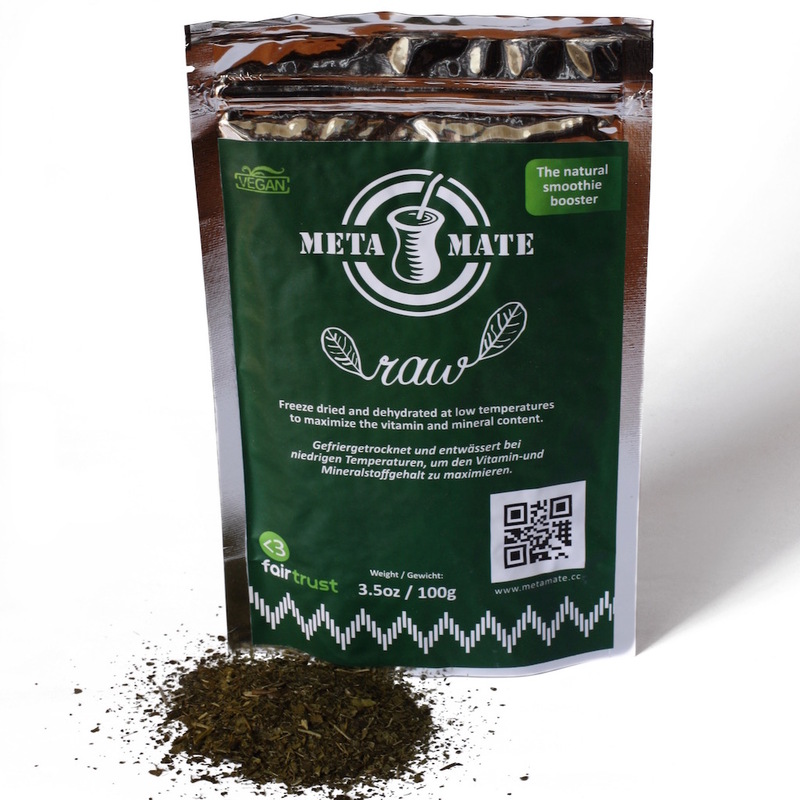 This unique processing method means that Raw Mate is edible – you can sprinkle it on food or add to smoothies to provide a nutritional boost. However, you can equally well prepare it in the traditional manner using a gourd and bombilla. For more information on Meta Mate Raw, click here. For more information on its production methods, click here. For instructions on how to prepare Raw Mate using a gourd and bombilla, click here. Alternatively, you can prepare this Mate using a French Press or tea strainer. If using a French Press, add 2 tablespoons of Raw Mate to 1L of hot (no more than 85°C) water. Let sit for 5 minutes before pushing down the plunger. 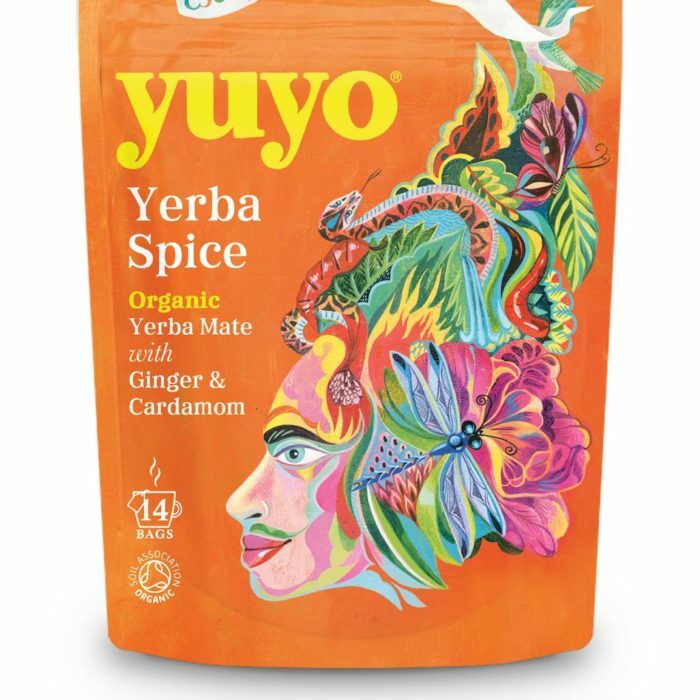 And don’t forget, you can sprinkle this Mate on food or add to smoothies for a nutritional boost!